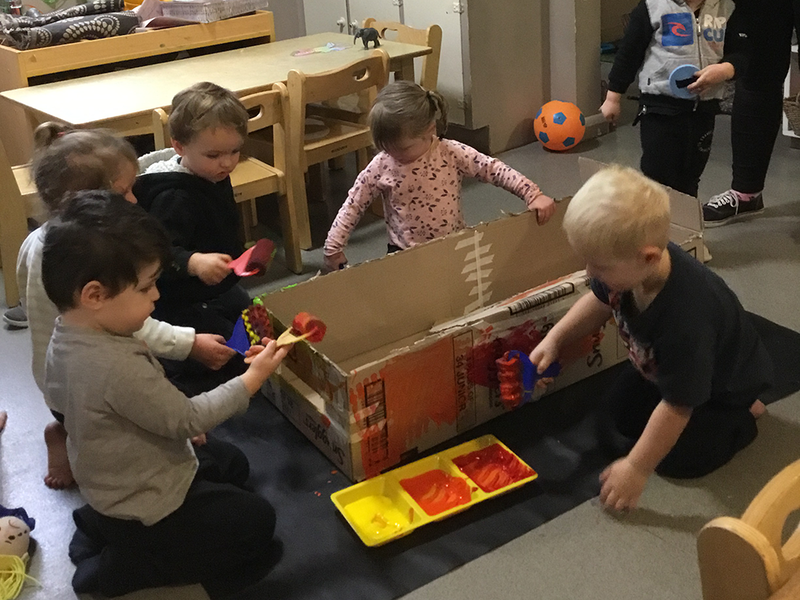 This month our early learning educators have been coming up with some really creative ways for children to learn through interactive play. One that stands out is the airport they set up with the children to teach them about travel. This was inspired by a recent holiday that one of the children had been on with their family. 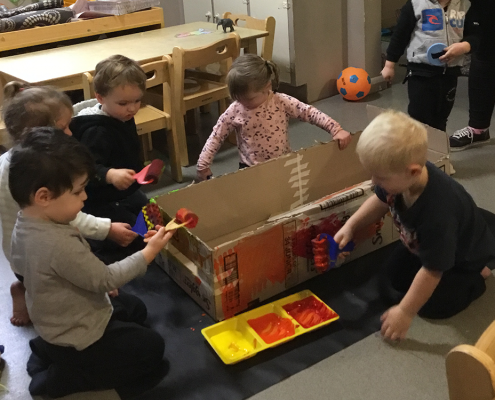 Through their experience, we extended and created our very own aeroplane that could take the children on their very own holiday. 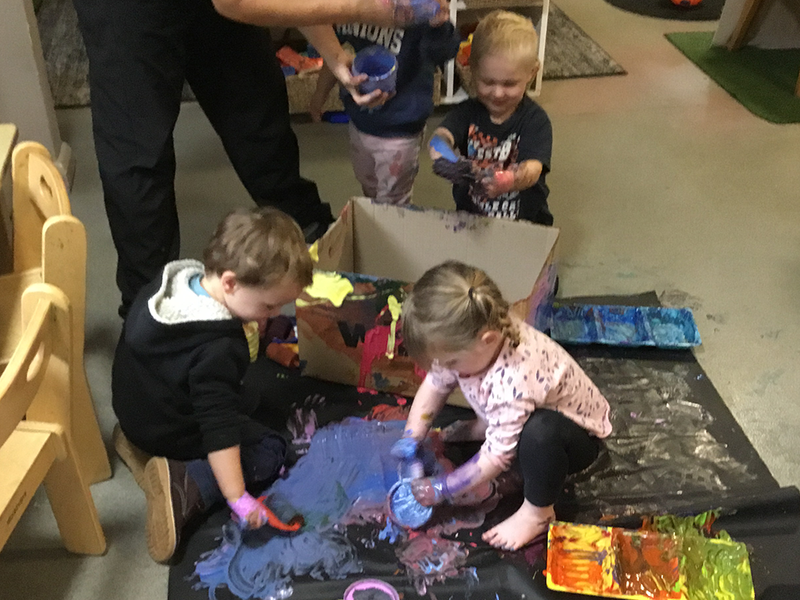 The children used an old box and sat down as a group and painted the box using brushes, their hands and even their feet! 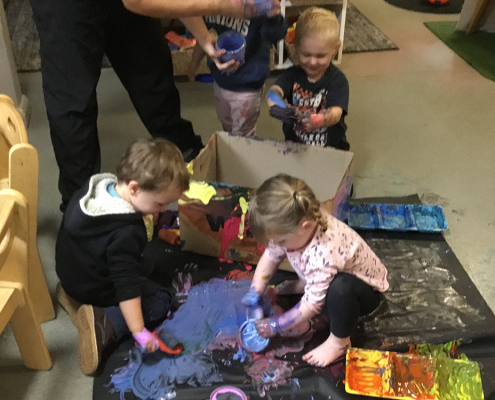 The children really enjoyed the sensory experience as well expressing their creativity! Once the box was dry we went on to add different pieces our plane was missing, through group discussions, we talked about what our plane needed. We discovered we needed wings as well as engines to fly our plane. We then set off to find a pilot for our plane, which we found and was named appropriately by the children “gorilla pilot”. We hung our aeroplane from the ceiling and the children were very excited and enthusiastic to show their achievement to their families as they came to pick them up that day. One of our toddlers Ash asked, “Taylor, where is our plane going to fly?” This sparked our conversation and curiosity about our world. We went over to our map and Taylor asked Ash “where do you think the plane is going to fly today?” He looked at the map and pointed to Africa. We used our iPad to look up Africa on the map and to see what we could find in Africa. This generated an abundance of interest because Africa is full of exotic animals. Serengeti, which is located in Tanzania, was selected so the hunt was on to find animals that from that part of the world. Using our iPads we were able to locate and learn about the animals we found. We observed the animals and then everyone participated in discussions such as how they looked, what noises they made and other interesting facts. David Attenborough would have been impressed! The children became very curious about the animals that lived in Africa so we also set up a small world experience with African animals. 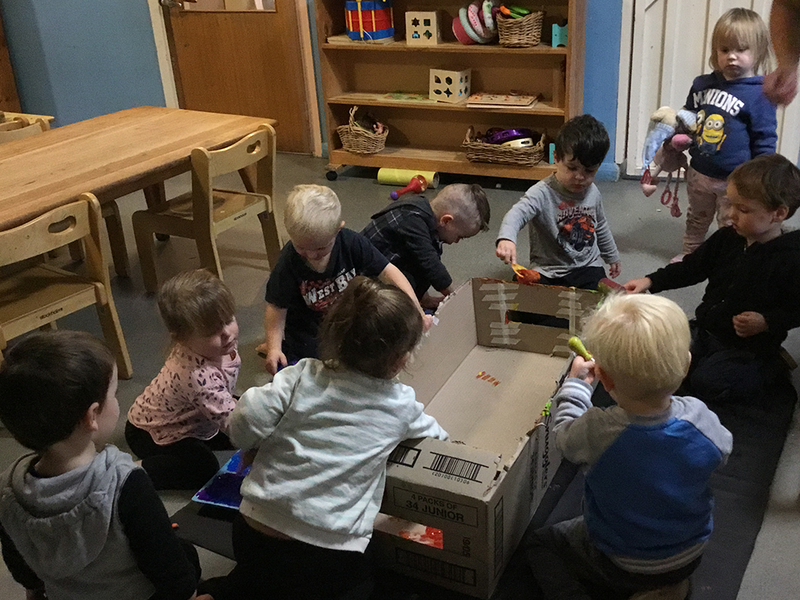 Through these activities the children have been sharing knowledge with each other, has sparked their curiosity about the world and created new conversations and discussions about their findings. Through our music and movement, we have also explored the sounds of Africa. The instruments came out and the children enjoyed listening to the different style of music and multicultural experiences were shared by all. 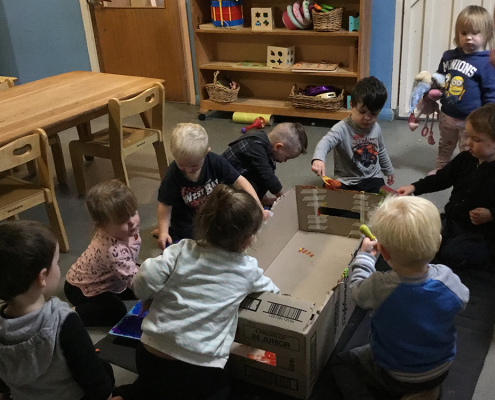 Through continuing on with our around the world project, the children are able to connect with and contribute to their world as well as showing they are confident and involved learners. This has also promoted a strong sense of identity as we have also discussed where in the world we live. Next week we plan to fly our plane to a new destination in the world. The children will decide where we go, what we expect to find there and what music is part of their culture. The fun continues through the learning at Cire Childen’s Services. If you would like further information about Cire’s early learning programs, click here.